Rembrandt Harmenszoon van Rijn (1606-1669) stands as one of the most important painters in Western art, but nowhere else do we encounter his inimitable talent more so than in his drawings and etchings. Hinged upon spontaneous experimentation and expressive line work, they garnered him unparalleled recognition from his contemporaries. Each portrait or quotidian scene is elevated by his masterful treatment of light, shadow, and hatching. There is another world to be accessed within Rembrandt’s etchings— one that dwells within the intangibilities of moody midnight contemplation and the twilit countryside, these elusive moments fixed to the page with every stroke of the etching needle on copper. Rembrandt’s drawings display his emotional state with a candor unseen in other works. They function as a repository for his unfiltered feelings and perspectives of the world that surrounded him. Be it through haunting sketches of his first wife in the grips of a fatal case of tuberculosis, simple scenes of street life, or studies of elephants and tigers, Rembrandt communicates his feverish thirst for images, and his ability to represent these through the lens of his immediate emotional state. 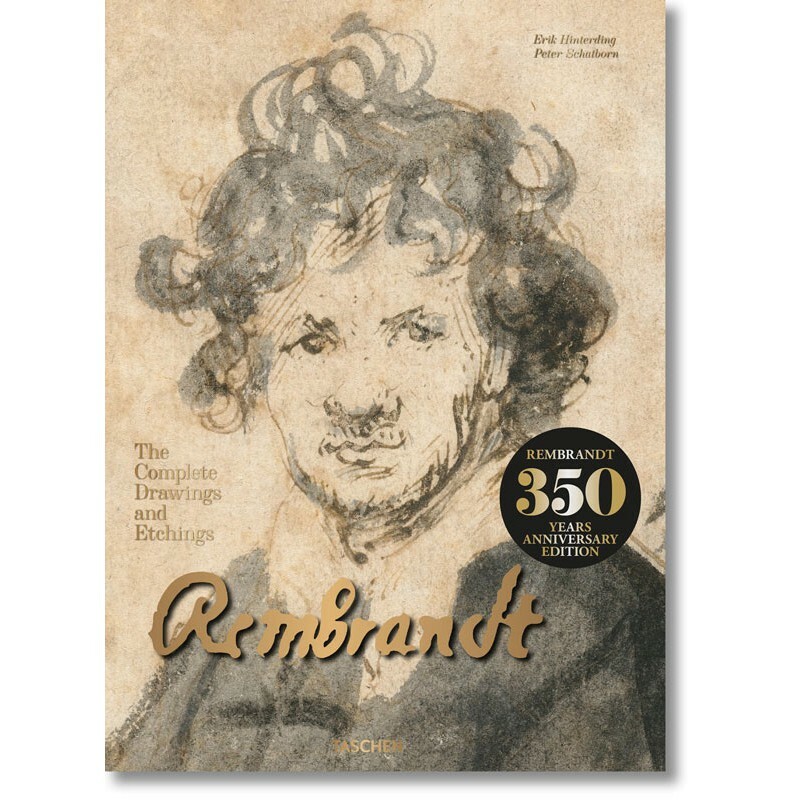 Commemorating the 350th anniversary of the artist’s death and published in tandem with an exhibition at the Rijksmuseum of unprecedented scale, this stunning XXL monograph is the complete collection of Rembrandt’s works on paper. Through the 700 drawings, brilliantly printed in color for the first time, and 313 etchings in pristine reproduction, we explore Rembrandt’s keen eye, deft hand, and boundless depth of feeling like never before; and above all, we witness that he was far more than just a painter. Erik Hinterding studied art history at Utrecht University and completed his PhD on Rembrandt the etcher. He has worked on publications and exhibitions for numerous institutions among them the Fondation Custodia in Paris, the Scuderie del Quirinale in Rome, the Stiftung Weimar Klassik in Weimar, and the National Museum of Western Art in Tokyo. In 2013 he was one of two authors of the new seven-volume catalogue raisonné of Rembrandt’s etchings. Since 2012 he has been Curator of Prints at the Rijksmuseum, where he oversees the early modern print collection. Peter Schatborn is emeritus head of the Rijksprentenkabinet at the Rijksmuseum in Amsterdam. He has served as guest scholar at the Getty Research Institute, Los Angeles, and has curated exhibitions at the Fondation Custodia, Collection Frits Lugt, Paris and The Frick Collection, New York. He specializes in seventeenth-century Dutch drawings.